Indulge in the most delicious low sugar and low carb Christmas treats you could imagine; a healthier alternative to traditional Christmas food and drink. Take a peek inside the elegant wicker basket and discover classic no added sugar Christmas pudding, smoked cheddar cheese, crunchy oatcakes, smoked salmon and dill pate, warming soup, dark, white and milk chocolates sweetened with stevia, luxury mixed nuts, stuffed olives, sweet apple crisps and gourmet popcorn. There is also nourishing wholesome porridge oats, organic baked beans, whole wheat cous cous and rich Italian passata. Don't forget the selection of raw bars plus the handmade reduced sugar strawberry jam and marmalade. 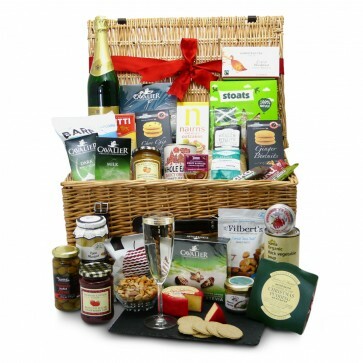 To complement these treats this hamper also includes sparkling white wine (non-alcoholic), mulled wine spices, organic English tea and medium roast coffee. 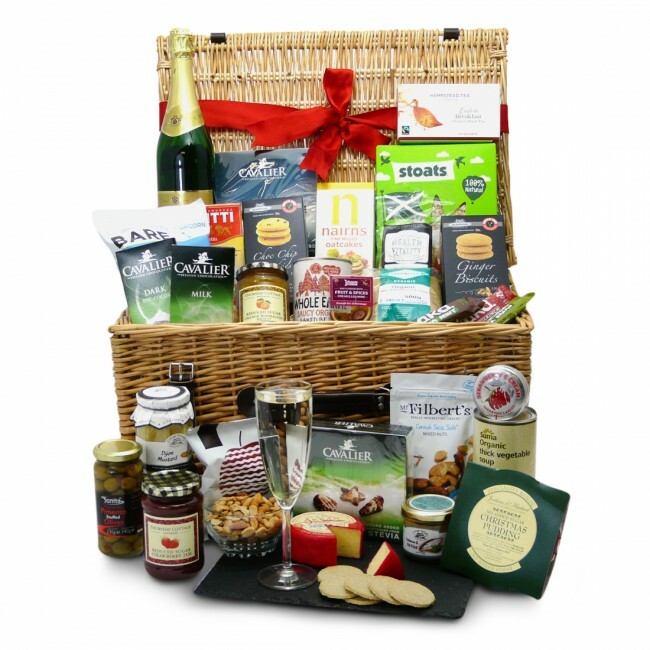 All the healthy alternatives in the Luxury Christmas Hamper have been carefully packed by hand in an elegant wicker basket. Remember to tell us what you’d like written on the personalised gift card included inside.